I am an unabashed history lover. And no history is more fascinating than that of the ancient Israelite nation, whose story permeates the Old Testament in the Bible. And with the upcoming Feast of Passover in April, my thoughts turn to the deliverance of ancient Israel from Egypt. I also wanted to consider all the prophecies that the Good Book makes about the future nation of Israel, and how we are seeing them play out before our very eyes. 1. Restoring the Language. What was perhaps the first modern prophetic key regarding Israel in the End Times, came to Eliezer Ben-Yehuda in the late 1870s. He had a vision. He felt God tell him, "You will go back and restore the language of the prophets in the land of the prophets." 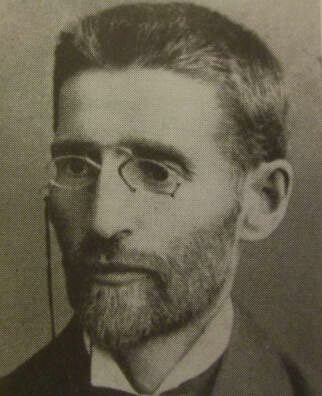 He accepted that calling, and today is known as the father of the Modern Hebrew language. He moved his family to Israel in 1881, and his son was the first person to speak Hebrew as his mother tongue since ancient times. Intrater reports that, today, the Messianic community in Israel, has returned not just to the Hebrew language, but to speaking in tongues as the early church did for the first time on Pentacost in Acts 2. 2. Global Reconciliation. The second key was from Rabbi Kook, the first Chief Rabbi of Israel, and possibly the most significant in modern Jewish history. In the beginning, the Ultra-Orthodox Jews were against the nation of Israel. In fact, most of them continue to be so. Kook saw that the Israeli pioneers were secular, atheist Communists. Therefore it seemed that the movement could not be from God. However, because they were bringing God&039;s people back to the Land of Israel according to Biblical prophecies, he created a bridge between Ultra-Orthodoxy and modern Zionism, and in doing so, laid the foundations of what we call Modern Orthodoxy. Today this stream of Judaism is pro-Israel and even serves in the IDF. Similarly, Intrater believes that the calling of Messianics is to bring together all the diverse aspects of Israel, including Orthodox and secular Jews, as well as the international Ekklesia (church). Even though they're all supposed to be on the same side, throughout history these groups have opposed each other. So the second End Times prophetic word is the joining together of Israel and the church. 3. Stages of Restoration. Rabbi Abraham Isaac Kook was the first Ashkenazi chief rabbi of British Mandatory Palestine; a Jewish thinker, Kabbalist and a renowned Torah scholar. He was born in 1865 and died in 1935. It is interesting to note than when Rabbi Kook considered modern Israel, he did not believe that it was the Kingdom of God, but rather the first stage of the restoration which would lead to the Kingdom of God. There had to be some sort of physical restoration of the Land and the people of Israel so that redemption could take place. It is even more interesting that Asher Intrater is saying the same thing. He believes that modern Israel today is not the Kingdom of God, but rather the initial steps of a restoration that is leading to the Kingdom of God. He states that it is a mistake to be overly Zionist and call this the Kingdom of God, and it's also a mistake to reject the idea completely. He believes that these are the beginning stages and the Messianic community is in the middle of it. 4. Reading the Prophets. David Ben-Gurion, visionary and leader of Modern Zionism, read the Bible, particularly the prophets. He held Bible studies each week in his home. He taught the Bible, but he mistakenly interpreted the Bible through a Communist viewpoint, as a kind of a socialist work. However, he was right to encourage the reading of the prophets, and to not just read the Bible, but try to live it. Intrater believes that because he took inspiration from the Scriptures about restoring the nation of Israel, God chose him to be the first Prime Minister of Israel. 5. Pre-Governmeny Preparation. 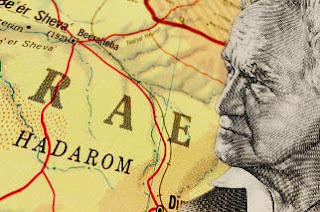 During the time of the British Mandate, prior to the establishment of the State of Israel, Ben-Gurion also realized that one day the future nation was going to have a government, but it wasn't ready yet. They needed to build an organization that could function like a government so that they would be ready to have a nation when the time came. He set up an organization called the "Histadrut," and it began to function like a government until it later became one. Intrater believes that is a prophetic word for the Church. The Ekklesia is supposed to be two things, not just the people who have been gathered out of the nations to become the Body of Christ, but the word Ekklesia also means a governing body or coalition. As Believers, we are here not just to run the Church but act as our own "Histadrut" or pre-government. We are being prepared now to run Yeshua's government when He returns. That's why we believe in apostles, prophets, evangelists, pastors and teachers, in elders and deacons, and in the structure of the Church, because we are in training. A government isn't run by one person, but by a whole group of people. That's what discipleship is all about; getting ready to run one of the positions of His government. 6. Preparing for War. Ben-Gurion also knew that when the new State of Israel, was declared, within 24 hours every nation in the Middle East was going to attack it. They were not ready. They didn't have any weapons or soldiers. They didn't know how to fight. So he set aside all of his other functions, forming and training a military in a year and a half. Again, Intrater believes this is a prophetic word coming out of the body of Messiah in Israel. We are heading towards the greatest war in the history of mankind. We are moving into a period where all the nations of the world are going to attack Israel and Christians, and do everything they can to stop the second coming of Yeshua. We need to learn to pray and prophesy, to understand the Scriptures and declare the Word of God. 7. Confrontation of .the Nations. Benjamin Netanyahu, the Prime Minister of Israel, goes to the United Nations and confronts them, unlike any other world leader we've seen. He tells the UN that they are making decisions against the Land and people of Israel, even though they have a mandate from God to be there. He quotes the Bible and he rebukes them for immorality and humanistic thinking, boldly confronting the nations of this world. There is something about the nation of Israel and its very existence that is in confrontation with the UN. Intrater believes Israel is going to begin to confront the nations of the world with the truth of God. This is one aspect of Israel's calling, and now that the body of Messiah is connected to Israel, they have a prophetic message to give to the world. 8. Exposing Radical Islam. Netanyahu - more than any other world leader today - understands that radical Islamic terrorism is the worst evil this world has ever seen, and we need to fight it. Intrater says, "People are being murdered at an unprecedented rate and nobody is really fighting it other than Israel. There is an alignment coming out of the nation of Israel". Furthermore, he says, "You have the choice either to succumb to radical Islam or to fight against it. The church doesn't necessarily need to take up weapons. But it needs to be able to speak the truth and call it what it is: a murderous, Anti-Christ spirit. When you send people all over the world to murder everyone who disagrees with you, you are breaking the Ten Commandments. That cannot be the God of Israel, and we need to actively oppose it". 9. Establishment of the Throne of David. In Hebrew, there is no word for 'prime minister.' Instead, the title is the 'head of the government of Israel.' Do you remember all the prophecies about Yeshua when He was born? He would sit on the throne of David and rule over the tribes of Jacob. When Yeshua comes back, He will sit on David's throne and rule the world from David's throne forever. Intrater, and the Messianic community in Israel, believe in a literal fulfillment of the prophecies of the Kingdom of God coming on earth. But until there was modern Israel and a government in Israel, how could you believe these prophecies? For 2,000 years much of the Church did not really believe in the Second Coming, but instead in the Second Appearance. They believed that Yeshua is going to appear, come half way down, rapture away His bride, and then leave again! But the Bible says He comes back once - all the way back to the Mount of Olives! Israel has been restored and its capital is in Jerusalem. Yeshua can now return and reign over the earth from Jerusalem. 10. Physically inheriting the Land. Lastly, Intrater wants it understood that one of the things that the head of the Israeli government does is to guarantee that Jews and their descendants can settle in the Land: that they have the right to build homes, establish farms, support an economy and raise their children. It is amazing how much this idea is hated by so many around the world. Does the Bible indeed say that when Yeshua comes back the saints will inherit the earth? Yes (Matthew 5:5 and 25:34). The way God ensures that His kingdom will come to this earth is by promising it to the Jewish people, in the Land of Israel. If it doesn't happen there, it can't happen anywhere else on the rest of the earth. The fact that Jewish people are living there is a sure sign that Yeshua is coming and we will inherit the earth. I hope you have found this perspective as fascinating as I have. As Christians, it is important that we put politics aside and recognize that the modern state of Israel has yet to fulfill its prophetic fullness: 1) The full number has yet to be Saved; 2) They have yet to operate in their full Biblical power; 3) They have yet to operate in their full Biblical character; 4) They have yet to operate in their full Biblical purpose to lead all nations. But, as you can see by Asher Intrater's resolute conviction, the Messianic Jews in Israel recognize God's plan for the fullness of the nation of Israel, which will bring about the Glory of God in the Millennial Kingdom. Our God is a God of covenants, and His commitments and promises to His portion, Israel, will not be broken. Amos 9:14-15 "I will restore the fortunes of My people Israel, and they shall rebuild the ruined cities and inhabit them; they shall plant vineyards and drink their wine, and they shall make gardens and eat their fruit. I will plant them on their land, and they shall never again be uprooted out of the land that I have given them,” says the Lord your God".